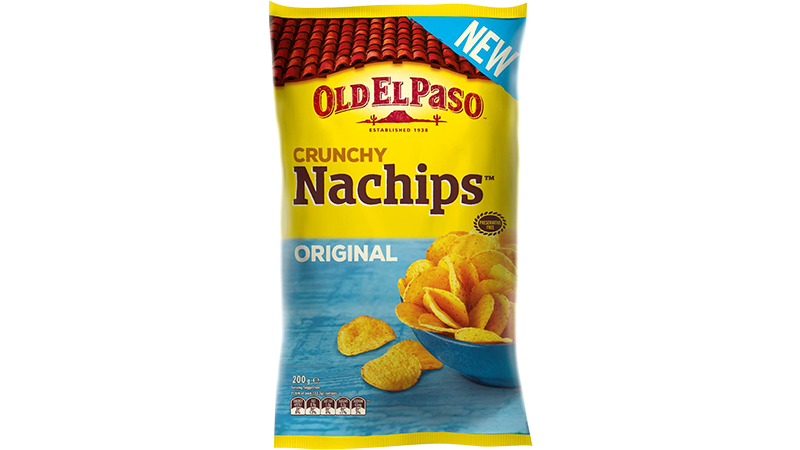 Place Nachips™ in a large bowl. Spray with oil. Sprinkle over cinnamon sugar and gently toss to coat. Place on baking paper lined oven tray, bake 8 minutes, or until golden. Caramel Sauce: Combine sugar and water in a medium saucepan. Stir until sugar has dissolved. Brush sides of pan with a pastry brush dipped in water to prevent crystallisation. Boil, without stirring, 3-4 minutes, or until golden. Take off heat and carefully pour in cream, stir to combine. Return to heat, simmer 2 minutes until slightly thickened. Chocolate Sauce: Combine cream and milk in a small saucepan. Bring to a simmer. Add chocolate, stir off the heat until smooth. Combine cinnamon Nachips™ with banana in individual serving dishes. Dollop with peanut butter and bake 6-8 minutes. 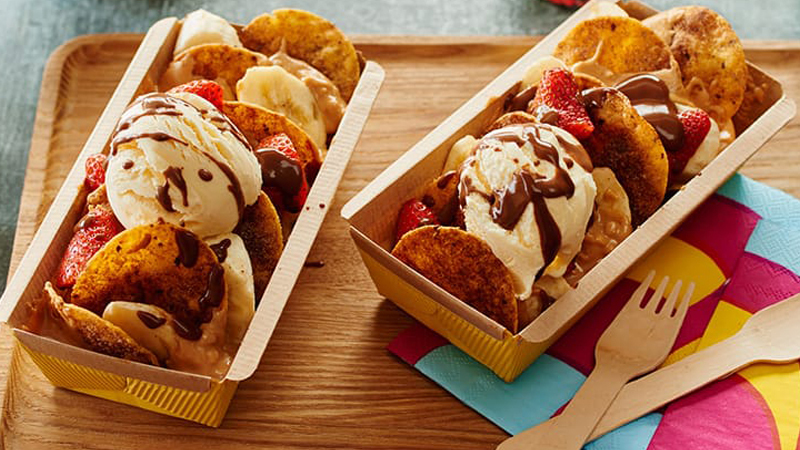 Customise your nachos with ice cream, strawberries and sauces.